Milka Biscuit Run sends players scrambling to find missing cookies, then eat them in real life. OK, here’s the deal: You’re a cookie jar. And your cookies have been swiped by the family golden retriever, who mischievously spread them across your alpine cabin. That’s the setup of Milka Biscuit Run, a family-friendly board game created by Wieden + Kennedy Amsterdam for client Milka, which makes a variety of cookies that most of us don’t have access to here in the States. 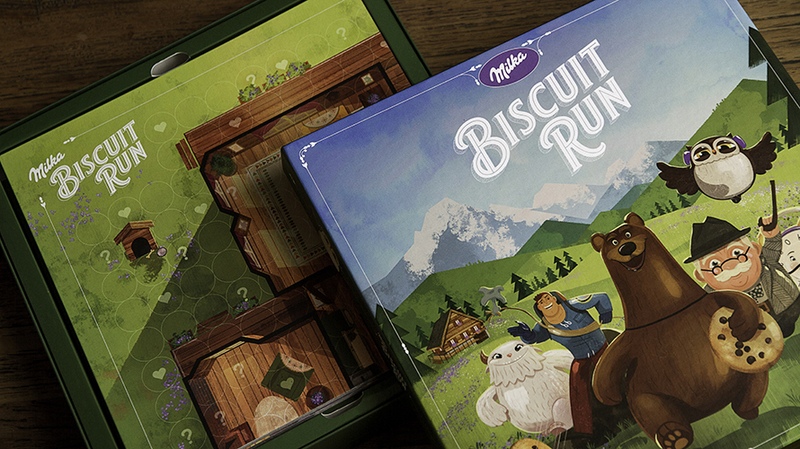 The idea of a board game was born from the Mondelez-owned brand’s focus on “tenderness,” which of course has a double meaning of both soft cookies and family warmth. 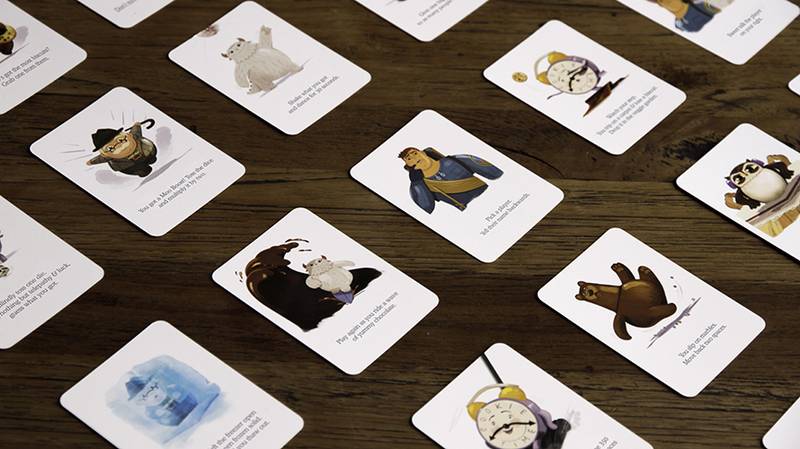 The brand and agency felt that a traditional approach blended with a modern board game aesthetic could bring families together while also keeping the products front and center. 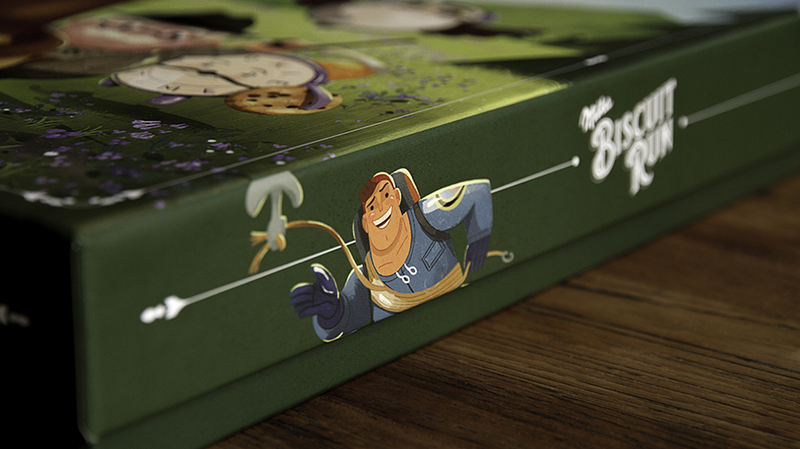 Board games may feel retro, but they’ve also been a tremendously hot category in recent years, driven by a combination of modern classics like Settlers of Catan and the potential of crowdfunding to create innovative new games. 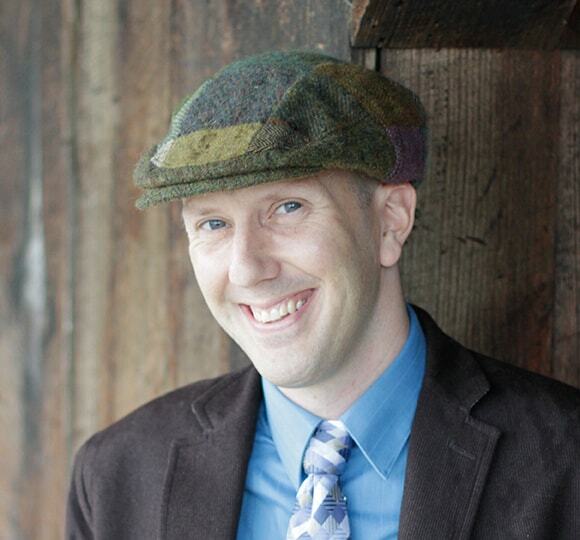 Marketers love to believe that such nostalgic scenarios as family game nights can still happen in our digitally frenzied world, but is there any truth to it? In this case, I have to say, yes. 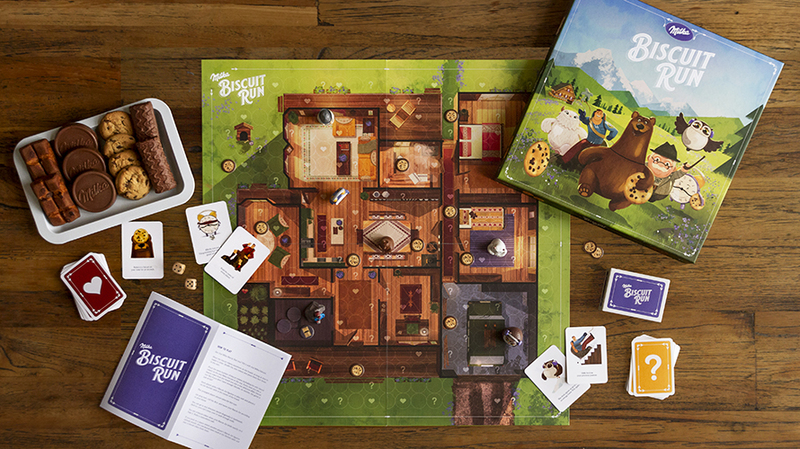 I’ve been playing Milka Biscuit Run for the past week or so with my kids (ages 6 and 10) at our kitchen table, and it’s been quite a hit. My youngest wants to play it daily. It’s not a perfect game, and were it more of a mainstream consumer product rather than a limited promotional item, it could certainly use a bit more play-testing to get the flow and timing right. 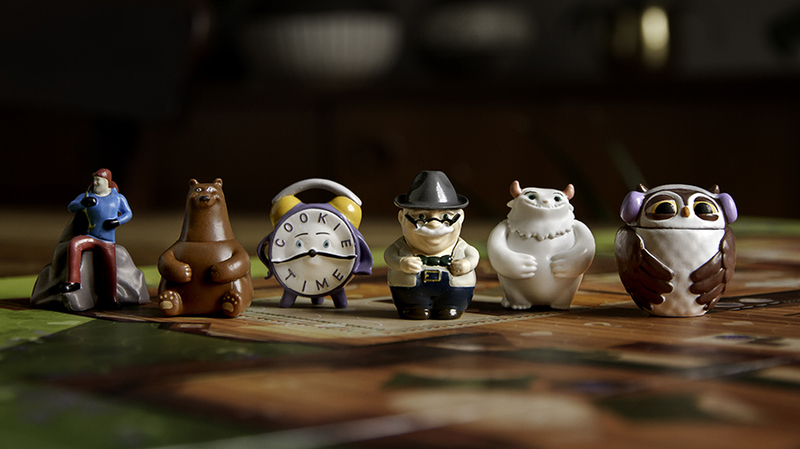 That said, the kids were definitely into it, especially the cookie-jar characters you pick from to be your game piece. 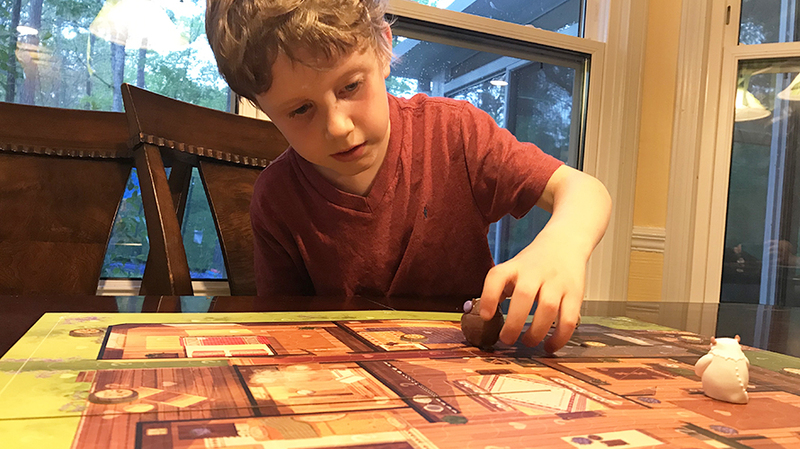 The game features mildly embarrassing challenges such as yodeling, miming or dancing, and even my jaded ad-journalist heart melted a bit on seeing my kids crack up at those. A few thousand copies have been produced so far and are being given away via Milka’s social channels. And who knows? 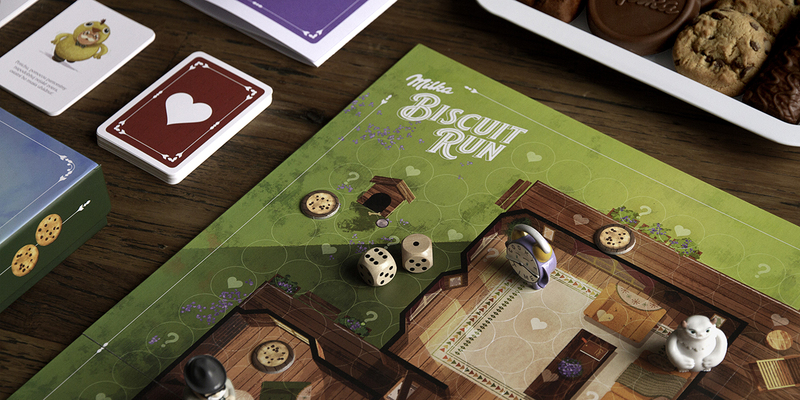 Maybe, in a coup of branded content, we’ll see Biscuit Run start to appear on game store shelves. If you’re not familiar with Milka’s jar characters, check out the 2016 ad below, followed by stills and credits from the game.